Gold/silver trading: see kitco charts on right side of the commentary. The gold comex today had a good delivery day, registering 54 notices served for 5400 oz. Silver comex registered 34 notices for 170,000 oz. Three months ago the comex had 303 tonnes of total gold. Today the total inventory rests at 247.69 tonnes for a loss of 55 tonnes over that period. In silver, the open interest rose by 551 contracts with Wednesday’s silver price being up by 23 cents. The total silver OI continues to remains relatively high with today’s reading at 160,455 contracts. It seems that the bankers are very worried about silver as they covered some of their short positions with the rise in the price of silver. The January silver OI contract fell by 26 contracts down to 37. In gold we had a good increase in OI with the small fall in price of gold yesterday to the tune of $.20 The total comex gold OI rests tonight at 436,994 for a gain of 6,866 contracts. The January gold contract rose by 25 contracts up to 115 contracts as somebody needed some gold badly. The bankers tried to contain gold/silver ahead of the decision by the ECB to undergo a 1.14 trillion euro quantitative easing. It just did not work as gold and silver caught some bids and closed higher on the day as indicated above. We will detail for you the big decision by Draghi to undergo QE. However 80% of the liability rests with national central banks and most are broke anyway. So placing further liability on their heads is pointless. In other news, the Chinese are setting up a currency exchange with the Swiss in Zurich and this no doubt was the cause of Switzerland immediately abandoning the peg with the Euro. China will also use Switzerland as a key centre of gold trading. All rates moved in the negative direction GOFO/ All months are in contango and thus positive in rates. On January 30/2015 the LBMA will officially stop providing the GOFO rates. Let us now head over to the comex and assess trading over there today. The total gold comex open interest rose today by 6,866 contracts from 430,128 all the way up to 436,994 with gold down by $.20 yesterday (at the comex close). We are now onto the January contract month. The non active January contract month saw it’s OI contracts rise by 25 contracts up to 115. We had 0 contracts served yesterday. Thus we gained 25 gold contracts or an additional 2500 oz will stand for delivery in this January contract month. The next big delivery month is February and here the OI fell by only 5,306 contracts to 176,363 contracts with many moving to April. First day notice is Friday Jan 30.2014 or just one week away. 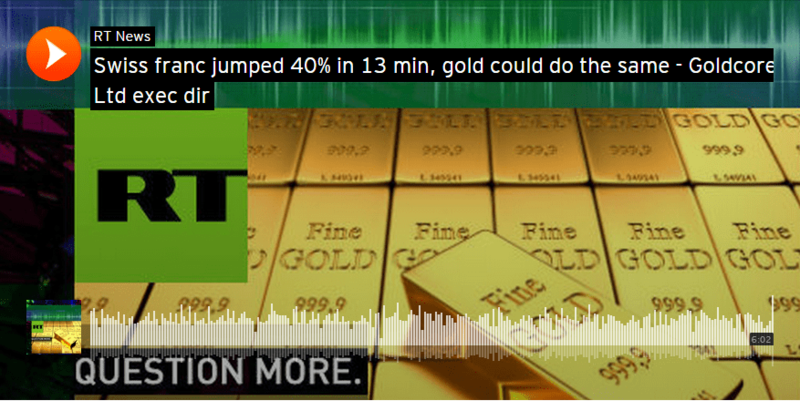 Is somebody sneeking up on the gold comex and ready to take huge delivery in February? The estimated volume today was poor at 32,615. The confirmed volume yesterday was excellent at 244,202 contracts. Today we had 54 notices filed for 5400 oz . And now for the wild silver comex results. Silver OI rose by 551 contracts from 159,904 all the way up to 160,455 as silver was up by 23 cents yesterday. We thus had considerable shortcovering from the banking sector again today. The front January contract month saw its OI fall to 37 contracts for a loss of 26 contracts. We had 10 notices filed yesterday, so we lost 16 silver contracts or an additional 80,000 oz will not stand for silver in the January contract month. The next big contract month is March and here the OI rose by 47 contracts up to 103,965. The estimated volume today was fair at 25,211. The confirmed volume yesterday was excellent at 62,105. We had 34 notices filed for 170,000 oz today. The rise in the price of silver is certainly scaring our bankers. we had 1 customer deposit: and the farce continues!! Today, 0 notices was issued from JPMorgan dealer account and 54 notices were issued from their client or customer account. The total of all issuance by all participants equates to 54 contracts of which 0 notices were stopped (received) by JPMorgan dealer and 0 notices were stopped (received) by JPMorgan customer account. 62 (notices filed for the month x 100 oz) +OI for January (115) – 54(no. of notices served upon today) 9500 oz (0.3825 tonnes). we gained 2500 oz of gold standing for delivery. Several weeks ago we had total gold inventory of 303 tonnes, so during this short time period 55 tonnes have been net transferred out. We will be watching this closely! This initializes the month of January for gold. Total of all silver inventory (dealer and customer) 176.161 million oz. The total number of notices filed today is represented by 34 contracts for 170,000 oz. To calculate the number of silver ounces that will stand for delivery in December, we take the total number of notices filed for the month (435) x 5,000 oz to which we add the difference between the OI for the front month of January (37) – the Number of notices served upon today (34) x 5,000 oz = 2,190,000 oz the number of ounces standing so far for the January delivery month. 435 contracts x 5000 oz= 2,175,000 oz +OI standing so far in January (37)- no. of notices served upon today(34) x 5,000 oz equals 2,190,000 ounces standing for the January contract month. we lost 80,000 ounces of silver standing for delivery in this January contract month. The two ETF’s that I follow are the GLD and SLV. You must be very careful in trading these vehicles as these funds do not have any beneficial gold or silver behind them. They probably have only paper claims and when the dust settles, on a collapse, there will be countless class action lawsuits trying to recover your lost investment. There is now evidence that the GLD and SLV are paper settling on the comex. vs no sellers of GLD paper. Late Friday night, we had another addition of 13.74 tonnes of gold on top of the earlier amount of 9.56 tonnes which were added to inventory. Thus so far inventory rests at 742.24 tonnes of gold. There is no chance that these guys could have assembled 34.65 tonnes over the weekend. The addition is nothing but a paper entry!! No real physical has been received. The registered vaults at the GLD will eventually become a crime scene as real physical gold departs for eastern shores leaving behind paper obligations to the remaining shareholders. There is no doubt in my mind that GLD has nowhere near the gold that say they have and this will eventually lead to the default at the LBMA and then onto the comex in a heartbeat (same banks). Jan 12.2015 we had a huge withdrawal of 1.915 million at the SLV/inventory at 327.979 million oz. Jan 8.2015: no change in silver inventory/inventory at 328.457 million oz. Sprott and Central Fund of Canada. 1. Central Fund of Canada: traded at Negative 4.3% percent to NAV in usa funds and Negative 4.4 % to NAV for Cdn funds!!!!!!! Note: Sprott silver trust back into positive territory at +2.93%. Central fund of Canada’s is still in jail. Mario Draghi is preparing to unveil QE today as the ECB looks certain to announce it’s much anticipated quantitative easing (QE) program. The move to print up to €1 trillion euros in the coming months appears to be a fait accompli although it will occur against a backdrop of strong German resistance and many concerns. Following leaks that mainstream news sources regard as credible, the ECB is expected to announce monthly purchases of €50 billion in government bonds of member states. The scheme is expected to run from March until the end of 2016 – for some 21 months – bringing the total to around 1 trillion euros. The ECB’s balance sheet currently stands at about €2 trillion. Proponents argue that the move should or will prevent deflation and help revitalise the ailing euro zone economy. It is hoped that QE will counter low euro zone inflation by increasing the amount of money available to financial institutions and to encourage lending by banks. The aim of QE is to counter disinflation and act as a large stimulus to struggling economies. It should lower the cost of borrowing for European governments, which in theory should increase the availability of credit across the euro zone. Although interest rates are already at record lows in the Eurozone and globally and yet economic growth remains weak. It is also hoped that it will potentially boost equity markets. This has happened in the US and UK and more recently in Japan. However, the jury is still out if the “wealth effect” is actually aiding the struggling working and middle classes. Many have voiced concerns about the ECB QE including Angela Merkel, Axel Weber and Andrew Sentance. Weber, the former head of the Bundesbank cast doubt on the future viability of the euro yesterday. He said that if countries do not follow Germany in imposing structural reforms to boost their longer-term growth rates the euro would not survive. He called the probable introduction of quantitative easing by the ECB as “only part of the fix.” Weber, now the chairman of UBS, said there were legitimate questions hanging over the viability of the single currency. Andrew Sentance, formerly of the Bank of England’s monetary policy committee, and now senior economic adviser to Price Waterhouse Coopers, said the euro zone is not the environment where QE is going to be effective. Angela Merkel continued to make Germany’s concerns known as late as yesterday indicating once again the lack of consensus among European policy makers. “The ECB hasn’t made any decisions yet,” she said at a press conference yesterday. Germany’s greatest concern from Merkel’s point of view is that Germany does not end up on the hook for losses of defaulting peripheral nations. Germans believe they should not have to underwrite weaker EU economies debts, via the printing of money by the ECB, while having no executive power over how those failed economies are structured. “That definitely has to be countered. We’ll have to wait and see about everything else,” she said. A prospective compromise which is being widely reported is that the National Central Banks (NCBs), rather than the ECB, would purchase bonds and be responsible for any default. Such a measure would encourage member states to press ahead with reforms rather than papering over their problems with free money in the expectation that defaults suffered by the ECB would be sustained by the stronger countries. The ECB, like any central bank, has limited policy tools. In the wake of the crisis of 2008 the ECB reduced interest rates to zero in a failed attempt stimulate borrowing among populations saturated in debt. It then engaged in confidence tricks – (the famous “whatever it takes” statement) – in the hope that confidence would make structural difficulties within the EU go away. The last tool in a central banks arsenal is money printing and so the moment of truth for Mario Draghi has arrived. The ECB hopes to stoke inflation. The latest statistics suggest that the Eurozone is deflating at a rate of 0.2% – a long way from the desired target of 2% inflation. If deflation takes hold it could create a feedback loop that will devour the banks and other leveraged financial institutions. The interests of the banks and the wider economy are not perfectly aligned. In the U.S., QE has not generated a sustainable, robust recovery because the banks hoarded the cash in an attempt the shore up their balance sheets. At any rate, much of the wider public and companies cannot afford to take on more debt. As such the money did not trickle down to the real economy and inflation did not take hold. The lesson will soon be learned that wealth cannot be generated by printing money – nor can sustainable economic growth. Despite two waves of QE from the U.S. and Japan, deflation is taking hold globally. Oil, copper and lumber prices are stagnating indicating very weak economic activity worldwide. These are the most uncertain times in economic terms, possibly since before World War II. Gold has always performed well in such circumstances. Both as a hedge against stagflation, high and hyper-inflation and as we are seeing today and was seen in 2008 and in the Great Depression – against disinflation and deflation also. It would be prudent to take heed of these warning signs and acquire an allocation to gold coins and bars in fully-allocated, segregated accounts in fully-audited vaults in the safest jurisdictions in the world. Today’s AM fix was USD 1,287.00, EUR 1,107.96 and GBP 848.44 per ounce. Gold climbed $0.80 or 0.06% to $1,293.50 per ounce yesterday and silver rose $0.22 or 1.23% to $18.15 per ounce. Gold bullion is marginally lower in all currencies today ahead of the expected €1 trillion ‘stimulus’ to be announced by the ECB at lunch time. Gold may have already priced in the ECB QE announcement and we may see a “buy the rumour, sell the news” sell off of gold this afternoon. However, any sell off will likely be swift and reasonably shallow as the Greek elections on Sunday should support gold going into the weekend. More importantly, while gold is vulnerable in the short term, it is the euro which is now vulnerable in the medium and long term. ECB governors led by Mario Draghi will propose purchasing 50 billion euros ($58 billion) in assets each month through 2016, two central-bank officials told reporters just before their meeting in Frankfurt today. Gold bullion edged down 0.5 percent to $1,286.73 an ounce early in London. Yesterday, the yellow metal broke through $1,300 per ounce briefly reaching a five-month high. Comex gold futures for February delivery fell 0.6 percent to $1,286.10 in New York. Silver retreated 0.3 percent to $18.16 an ounce. Platinum gained 0.2 percent to $1,272.88 an ounce and palladium fell 0.4 percent to $764.75 an ounce. Australia & New Zealand Banking Group Ltd said gold may rise to $1,420 by the end of 2016 driven by increasing physical demand. Standard Chartered Plc expects the metal will rally to $1,320 by the fourth quarter as the dollar weakens, according to a January 20 report. Some analysts remain negative despite recent gains – Societe Generale SA wrote in a Jan. 14 report that prices will decline to $1,000 by December 31st. Central banks are making swift changes on the heels of the IMF predictions of a slowing global economy. Yesterday, the Bank of Canada surprised investors with an unexpected interest-rate cut. Crude oil is the nation’s largest export, and the Canadian dollar fell against all 31 of its major peers as the central bank reduced economic forecasts. Gold has surged in all currencies so far in 2015, including in Canadian dollars due to growing concerns about the Canadian property market and resource fueled economy. Gold remains very undervalued and we expect it to continue to make gains as fiat currencies continue to be devalued. The possibility of the very sharp abrupt spike in gold prices, akin to the Swiss franc, is a real one. Gold will likely experience sharp gains in the coming months due to the many risks facing markets. Using the work of Bullion Star market analyst and GATA consultant Koos Jansen as a point of departure, Bron Suchecki of the Perth Mint today tries to interpret the schedule of foreign gold withdrawals from the Federal Reserve Bank of New York. Suchecki raises good questions about it, covering the weight of the bars being withdrawn, whether the bars consist of coin melt, the irregularity of the withdrawals, and the German Bundesbank’s consulting with the Bank for International Settlements about the withdrawn gold. The financing window is open for Canadian gold miners, and they are rushing through it at a frantic pace before it shuts. Six companies have announced bought deal offerings since Tuesday evening: Romarco Minerals Inc., Detour Gold Corp., Osisko Gold Royalties Ltd., Primero Mining Corp., Asanko Gold Inc., and Richmont Mines Corp. Between them, they are raising a whopping $789.8 milllion. Last week Yamana Gold Inc. unveiled a $260.2-million equity deal of its own, and Lydian International Ltd. tapped the market for $16.5 million. — The “conspiracy facts” of secret meetings of government officials to develop and implement policies of secret intervention in the gold market. — The remarkable admission recently obtained by Goldbroker.com founder Fabrice Drouin Ristori from the Banque de France’s director of market operations, Alexandre Gautier. Gold in roubles now at all time highs. Also gold in Indian Rupees is close to an all time high. 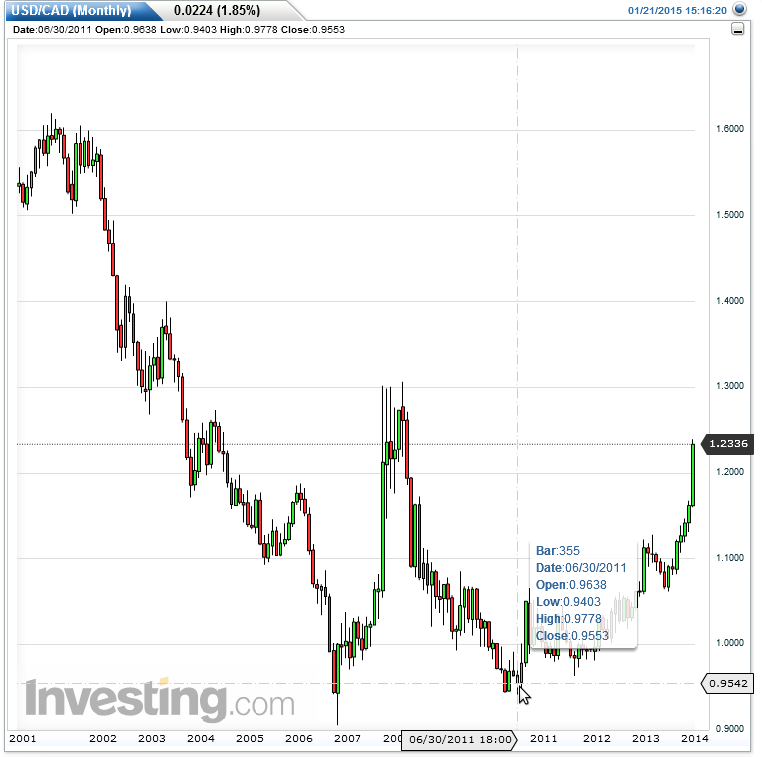 Gold hits huge new all-time high – in the Russian ruble! In most other currencies, the gold price has done far better than it has in the U.S dollar and in the currently depressed Russian ruble. Continuing a theme covered in some other articles published here, the West is fixated on valuing gold, and all other commodities, in the U.S. dollar as though no other currencies exist. There is obviously a justification in this given that the US dollar is the world’s most convertible currency and effectively the world’s principal reserve currency, but it ignores the fact that perhaps in most of the rest of the world, given the strength of the dollar against other monetary units, that what might appear to be a major fall in commodity prices in U.S. dollars is not nearly so bad. Indeed in many cases commodities priced in local money may even have seen a significant price increase. Thus the reported global commodity meltdown of 2014, which saw prices fall almost across the board (with some notable exceptions) last year in U.S. dollars, was nothing of the kind in many other nations and it is the rise or fall in price in those currencies which primarily affects local traders and businesses. Nick Laird, on the subscriber section of his www.sharelynx.comwebsite, publishes long-term gold price charts in a dozen different currencies and these are very interesting to examine in more detail. For example with the huge fall in the Russian ruble exchange rate against the U.S. dollar, due to the drastic drop in the oil price and economic sanctions over the annexation of Crimea and disputed military involvement in Donbass in the Ukraine, the gold price has hit huge new all-time highs in the Russian currency – see chart below. With Russia being one of the world’s top gold producers, and also having the world’s fifth largest national gold reserve (if one ignores possible unreported gold purchases by the Chinese central bank), the significance of this, if one resides in Russia and are a gold holder, is hugely important and demonstrates the rationale behind the Russian central bank’s recent gold purchasing spree. While perhaps Russia is something of an extreme case, given the big recent rise in the value of the dollar there are a number of other countries – notably another major gold producer (South Africa) and the world’s second largest gold consumer (India) where the value of gold in the local currency is currently not far off its all time high point. Indeed in India, the all-time gold price high in the rupee was not, according to the Sharelynx charts, in 2012 when the high in the dollar price was seen, but in the following year unlike in most of the rest of the world. Even in a major secondary global reserve currency like the Euro, gold has obviously performed far better than in dollar terms. So Russian gold holders, and some others, have done very nicely thank you, while U.S. holders may have been rather despondent. Now whether gold has made a permanent break-out is too early to judge, although some technical analysts have already called this based on the price move up through the 50 day moving average which tends to bring in technical buying. Today the price has slipped a little ahead of the European Central Bank meeting which is widely expected to confirm the implementation of a quantitative easing programme. But views are mixed as to the effect of such a decision on the gold price. We will have to wait and see. As you now know, Europe is set to announce a new QE program. I wish these money printing rocket scientists would call it like it really is, outright monetization but then again the average non thinking person might ask questions? The leak yesterday said the size would be 50 billion euros per month, or more (it turned out to be 60 billion). Thinking about this from a far away view, we can glean a few hilarious aspects. First, let’s look at “size”. If the program is “only” (more was expected) 60 billion euros per month, this will amount to around 720 billion additional euros outstanding a year from now. From a “money perspective”, this amount is far less than the QE 3 the Fed just publicly (privately maybe not) ended and smaller than the current Japanese operation. The markets may view this as “smaller than hoped for”, I of course have a different perspective. If we add up the production of all gold globally from the mines, we come to a ballpark number of a whopping $100 billion. Compare this to the (newly devalued) figure of 720 billion euros and we can round this off to just over $900 billion. So, in just one year, Europe will create nine times the amount of trash currency as the entire world creates of gold …in one year! The ECB plans to purchase this amount of debt for two years, nearly $2 trillion worth! Going just a step further, let’s look at this $100 billion worth of gold which is produced annually. I am going to tell you that as far as the “world” is concerned, there is NO new gold produced! How can I say this? All you need to do is look at how much gold just China and India combined take off the markets each year. The answer is “all of it”! Actually, that’s not true unless we add the phrase “and then some”! So from a size standpoint, Europe is proposing to create nine times the amount of currency as new gold is produced, yet none of the gold even hits the market to add to the current stock. Yes I know, there will be those amongst you who say this is wrong. But is it really wrong if 100%+ of new gold supply gets devoured and vaulted by China and India never to see the light of day again? Yes it is “stock” but it will never in our lifetimes “flow”! Let’s now look at few of the other “little snags” in this European brainchild. First, can Europe handle more debt collectively and what about the ones who cannot? The ECB is proposing a “one for all and all for one” strategy when it comes to responsibility to this debt, will the Germans agree to this? What will happens when push comes to shove and countries with no financial wherewithal just shrug their shoulders when they cannot make the debt service payments? Does this mean that Germany becomes the “one for all”? Wasn’t it just a couple of years ago the PIGS debt was on the verge of collapse and rates were skyrocketing? Have they really healed their balance sheets or do they now have MORE debt and HIGHER debt ratios? Are we to believe they are now safer? One last thought, the ECB is the central bank to Europe, should they really be prompting their flock into issuing more of the poison that caused the problem in the first place? Another question becomes, what about Greece? Will the ECB purchase their bonds? What if Greece’s elections finish and the winning party decides to hold the ECB ransom “restructure our debt or we will default …or just take our ball and leave”? How is this going to be handled? Another aspect going back to “size” is that the 720 billion euro QE will be three times or more the size of current issuance, isn’t this the reason the Fed was more or less forced to stop QE …because they were taking too much collateral out of the system? Will this force banks to purchase lower credit quality debt in their reserves or does it just mean interest rates all throughout Europe will be negative? Does this mean investors will “pay” interest to insolvent deadbeat nations like Portugal, Spain and Italy amongst others? I know it sounds quite strange to have to pay interest on your lent money to an insolvent entity, but this is where we are headed! While we are on the topic, what about “negative interest rates”? To begin with, if you think about it negative interest rates cannot last forever or even for a long time because it means the lenders in the end will lose all their money. (From a humorous standpoint, maybe this is a good thing because at least they lose all their money “slowly” rather than all at once!) Also from a Mother Nature standpoint, only the very best money does not need to pay interest, all the rest do and the interest rate is decided by the risk of creditworthiness and strength of currency. In this instance, they are all the same sloppy currency but Greece is not Germany even if they do both begin with a G. If negative interest rates were normal, borrowers would end up with everything and lenders would become extinct. Also, wouldn’t this hurt the banking sector in another way than just making collateral impossible to find? Wouldn’t the smart ones just go into their bank and withdraw everything and hoard the cash which wouldn’t require the constant haircut of negative rates? What does this say about velocity? All of the above questions and thoughts were things the Swiss have thought about for years. The “commonality” was a problem for them and they decided not to join the EU in the first place. Now, the Swiss National Bank has looked at this current scheme and decided to cut their losses. Why should they continue to purchase euros if they know the official policy is to debase and ultimately ruin them? The Swiss have made a decision, my topic for tomorrow will be “The ‘neutral’ Swiss seem to have chosen sides” as they announced a new renmimbi hub based in Zurich. Do you think they might have known about this last Thursday when they pulled the plug (peg) on the euro? One more question or two before we finish, why does Europe even need to do this now anyway? Hasn’t their currency already substantially weakened versus the rest of the world and grossly versus the Swiss? Isn’t this “REALLY” what QE is all about? Weakening your currency faster than your neighbor so you can steal his market share of exports? In reality, Europe is playing Russian roulette with a fully loaded gun! Their currency is already weak, yet they want it weaker. They are already broke, yet they want to become broke(r). Rates are already substantially negative but apparently not negative enough. Good (if you want to call it that) quality collateral is already scarce, yet they want to take more from the banking and shadow banking systems. Germany is already not in such a good mood as to what has already been done, yet the ECB wants to rub salt in the wound of the very core of Europe. In my opinion, this announcement of QE is a very bad choice and very poor experiment. QE has not worked anywhere else in the world, why will they be any different? Before they even announced this they had already received two very important and fully negative votes. The Swiss have abandoned them and gold has exploded higher and broken out to the upside. Maybe they are more fearful of the market hearing Mr. Draghi say “we were just kidding”? He has promised this bazooka for several years and jawboned the markets higher each time it looked like fullout collapse was imminent. Now they will fire this so called bazooka, the worst possible immediate outcome would be for their markets to spasm downward in response. Speaking of “response”, isn’t it curious the ECB “leaked” 50 billion euros yesterday? I am here to tell you, they floated that trial balloon because they were fearful of the response. When the market didn’t go spastic, they upped it another 10 billion for good measure! The ECB is in a panic, otherwise no “leak” would ever have appeared. They have lost control, they know it, it is only a matter of time before the markets realize it. 3fOil: WTI 48.67 Brent: 50.05 /all eyes are focusing on oil prices. This should cause major defaults as derivatives blow up. 3n USA vs Russian rouble: ( Russian rouble up 3/4 rouble per dollar in value) 64.60!!!!!! 3p ECB provides emergency fund for Greece for the next two weeks. With less than two hours until the ECB unveils its first official quantitative easing program, the markets appear to be in a unchanged daze. Well, not all markets: the Japanese bond market overnight suffered its worst sell off in months on a jump in volume, although for context this means the 10Year dropping from 0.25% to 0.32%. Whether this is a hint of the “sell the news” that may follow Draghi’s announcement is unclear, although Europe has seen comparable weakness across its bond space as well and the US 10 Year has sold off all the way to 1.91%, which is impressive considering it was trading under 1.80% just a few days ago. Stocks for now are largely unchanged with futures barely budging and tracking the USDJPY which after rising above 118 again overnight, has seen active selling ever since the close of the Japanese session. As we start a monumental day ahead with the ECB almost certain to announce QE – even if they are not yet fully ready to implement it – I can’t help wondering what the date will be that we will be able to report that the ECB is out of the money printing game. Once they start it might be incredibly difficult to stop without a political accident on the negative side or a sustainable exogenous positive growth shock. If there is no political accident, will they still be buying bonds into the 2020s? Will they have bought other assets by then or will we have printed money to give directly to citizens before the next decade starts? When QE first started post crisis we felt money printing would be around for years and years. Several years later and we still can’t see an end in sight even if the Fed is currently pausing and the SNB has shown that there is an alternative direction for some. So today likely starts a new chapter, even a new section of a book that is nowhere near finished. A closer look at Asia’s bourses shows the Nikkei 225 (+0.28%) remained relatively flat throughout the session amid light news flow and a light economic calendar. Elsewhere, both the Hang Seng (+0.7%) and Shanghai Comp (+0.6%) after the PBoC rolled-over CNY 269.5bln of lending facilities yesterday and today pumped CNY 50bln into money markets via 7-day reverse repos, with an aim to address Lunar New Year, IPO and Tax payment demands. Looking at ground zero of today’s action, European equities (Eurostoxx50 -0.18%) trade mixed with market participants side-lined ahead of the ECB rate decision, where the central bank are widely expected to announce the intricacies of QE, or, taking a page out of the OMT playbook, Draghi may simply reveal in broad strokes what ECB’s QE will look like and withhold all details: after all it is not as if the ECB is not engaging in illegal state financing – why stop breaking the laws here? Bunds (-34 ticks) have seen a continuation of yesterday’s losses amid uncertainty on the size and scope of the QE program and the German curve is steeper in early trade; this comes as positions are squared ahead of the ECB meeting today at 1245GMT/1330CST and press conference at 1330GMT/0730CST. Furthermore, some analysts and traders are looking for a EUR >1trln QE program given the ECB sources yesterday suggesting that QE could begin in March through 2016 at EUR 50bln per month. However, the uncertainty in the market stems from the fact that the program could also be left open ended. In FX, the USD-index (-0.02%) reversed the bid tone that was seen overnight, where the underperformers were AUD/USD and NZD/USD as they have retraced moves to the downside in today’s session. This overnight move lower was inspired by yesterday’s BoC surprise rate cut of 25bps which put the pair under selling pressure. However, in the European session AUD/USD trades back above the 1.1800 level. In other pairs, USD/JPY has been dragged lower by the weaker USD with movements in the FX markets particularly muted ahead of the of the ECB meeting. Gold (-0.40%) prices remained below USD 1,300/oz after reaching 5 month highs yesterday ahead of the prospect of ECB QE. Elsewhere, WTI (USD +0.43) and Brent (USD +0.11) crude futures marginally higher despite the API’s showing a build of 5.7mln as the USD continues to weaken heading into the North American crossover. Looking ahead, sees the delayed release of the US DoE Crude Inventories scheduled today at 1600GMT/1000CST with analysts expecting a build of 2.7mlnbpd. In summary: European shares mixed, off intraday highs, with the health care and food & beverage sectors underperforming and basic resources, oil & gas outperforming. ECB rate decision expected at 1:45pm CET (7:45am Eastern) with Draghi press conference outlining likely QE due 45 minutes later at 2:30pm.U.K. deficit widens more than forecast on EU contribution. The Swiss and German markets are the worst- performing larger bourses, the Italian the best. The euro is stronger against the dollar. Japanese 10yr bond yields rise; German yields increase. Commodities gain, with natural gas, nickel underperforming and Brent crude outperforming. U.S.
jobless claims, FHFA house price index, Kansas City Fed index due later. Markets participants remain on the side-lines ahead of the ECB rate decision at 1245GMT/0645CST and press conference at 1330GMT/0730CST, expected to officially announce their sovereign bond buying programme. Looking ahead, sees the ECB rate decision & press conference, US Initial Jobless Claims, DoE Crude Inventories, and earnings from Verizon. Treasuries fall led by long end before ECB rate decision at 7:45am New York time, Draghi press conference at 8:30am; core EGB yields also rise as ECB president will probably commit to a QE program that may exceed EU1 trillion. 83% of respondents to a Bloomberg Global Poll say the banking industry will continue cutting jobs this year; 61% say reductions will affect firms around the world, while 21% said most cuts will be in Europe and 1% said they’d be concentrated in the U.S. The fact that the FT, WSJ and Bloomberg all carried similar stories yesterday suggesting that the ECB are considering buying 50bn Euros a month over one to two years gave markets hope that there could be a positive surprise relative to numbers discussed in similar leaks over the last couple of weeks. If accurate this would put potential expansion at over a trillion, although we have to net off repayments. 10 days ago markets were starting to get concerned that there might be only consensus for a €500bn scheme. However before we get too excited this seems to be one of the proposals being considered by the council. It could be that they are also considering a smaller package. If we do get a plan that makes the trillion euro expansion eminently reachable it will likely further support our 2015 view that European equities and credit will out-perform absolutely and also relative to the US where there is no QE at the moment. The equity trade could last all year but European credit is getting more and more expensive relative to US credit so at some point in 2015 (maybe when Oil stabilises and the Fed become more dovish) the US will likely out-perform on a carry basis alone. So timing is key here but we don’t think its yet. Yesterday our European economics team published a note briefly summarising their views on what will happen today along with their thoughts on what current market consensus is. The note came out before the aforementioned press articles hit the wires but they make some interesting points about the design. They are concerned that the complexity of QE design means there is a chance of delay and their baseline expectation is that the ECB sends a clear signal of imminent QE today – by announcing for example that there is ‚broad consensus? for it – but that the actual vote awaits the final design input from staff in March. The team go into details in terms of the type of plan they expect in the note. They do highlight that the main risk to their view is that a formal decision for QE is taken today. For us it seems inevitable that an announcement will be made today even if we don’t get full details until March. So stand by for a big day. In terms of market reaction yesterday, European equities closed firmer although the moves were perhaps more muted than we’d have expected given the news, perhaps reflecting that there could be other proposals being voted on outside the one the press all picked up on. Indeed, the Stoxx 600 and Dax finished +0.61% and +0.41% respectively for their fifth consecutive day of gains although admittedly the former did bounce some +1.4% off its intraday lows after the ECB leaks hit the wires. Credit markets were also supported, Crossover closing around 9bps tighter on the day. The Euro swung around over the day, reaching an intraday high of 1.168 versus the Dollar before settling at 1.155, still +0.6% firmer on the day. Before all this, sentiment was somewhat weaker in markets. The Stoxx at one point hit an intraday low of -0.8% after the ECB’s Nowotny urged investors not to focus too much on the ECB outcome. Specifically, Nowotny was reported on Reuters saying that ‘central bankers, banks and policy-makers should always have more of a relaxed attitude to news and not get too excited of news of one day’ before going on to say that ‘my plea is to look at the long term and not get carried away’. Government bond yields across Europe sold off through the session. 10yr yields in Germany (+7.5bps) and France (+5.7bps) closed higher and yields in the periphery finished up 1-2bps. On the other side of the pond, the S&P 500 finished +0.47% at the close, recovering somewhat with the rebound in oil markets. Both WTI (+1.31%) and Brent (+2.17%) pared back some of the previous day’s losses to close at $47.78/bbl and $49.03./bbl respectively – both markets appear to have found something a $2 range for the time being with prices generally unchanged versus the start of last week. Energy stocks (+1.83%) led the recovery although in reality it was a better day for all sectors. Economic data largely took a backseat. A better than expected housing starts print (+4.4% mom vs. +1.2% expected) was offset by softer building permits (-1.9% mom vs. +0.8% expected). Treasuries had a notably weak day yesterday as the flight-to-quality play somewhat unwound on the back of the firmer risk tone elsewhere. The 10y benchmark yield closed about 8bps higher at 1.872%. In reality it has been a somewhat volatile year but strong year for Treasuries so far with the 10yr reaching an intraday high of 2.21% on the first trading day of 2015 versus an intraday low of 1.69% last Friday. Speaking of the rates rally one of the key outperformers yesterday was Canada. Indeed, the 25bps cut by the BoC to 0.75% (its first move in four years) caught the market by surprise which drove the 10yr Canadian government bond yields 5.4bps lower to an all-time low of 1.433%. Canadian equities also closed some 1.8% firmer on the back of the dovish stance. The BoC pointed towards the downside risks to inflation and financial stability as a result of the oil price shocks whilst the Canadian Association of Petroleum Producers yesterday also noted that capex in Western Canada could drop by as much as a third this year. What’s more interesting for us though is the BoC move comes shortly after the recent surprise moves by the SNB, Danish and Indian Central Bank. These easing biases have also placed other DM central banks (eg RBA) somewhat under the spotlight. More importantly can the Fed still look to raise rates in a world where several central banks have already eased in 2015? Indeed staying on this theme it was interesting to see that the minutes out of the Bank of England yesterday showed that two of the recent hawks who had previously called for the BoE to raise rates, switched their view to keeping rates unchanged. Yesterday’s data in the UK was largely mixed. Unemployment ticked down a notch to 5.8% (from 6%) however wage growth disappointed with underlying wages falling 0.2% mom. As a result of the mixed data and change of view from two recent hawks, DB’s George Buckley noted that he sees the BoE pushing the first rate hike out to May next year. George doesn’t expect the Bank to look through the weak (and what should continue to be) headline inflation. Refreshing our screens this morning Asian equities are mostly trading on a firmer tone helped by the positive US lead yesterday. Bourses in Hong Kong and Australia are up +0.69% and +0.49% respectively whilst Korea is flat, as we go to print. The CSI 300 (+0.16%) and Shanghai Composite (+0.08%) have pared back initial losses after reassurances from Premier Li about the growth slowdown at Davos. The Premier said that China will still face large downward pressures in 2015 but won’t have systemic financial risks and will seek to improve the quality of growth. The liquidity situation is also a little bit better on shore with the PBOC conducting reverse repo for the first time this year (RMB50bn via 7-day repo overnight). Similarly Asian credit markets are also trading on a stronger footing overnight with IG spreads generically 2-3bps tighter. New issues are also breaking inside re-offer after a hiatus of a couple days although they are still dominated by IG issuers so far. On the FX front the EUR is trading near its 11-year low overnight (1.159) ahead of the ECB meeting later today. In terms of the day ahead data watchers can expect Italian industrial orders and retail sales, Spanish unemployment as well as public finance data from the UK. US jobless claims today will cover the period for January’s nonfarm payrolls. We also have the FHFA house price index and Kansas City Fed manufacturing index in the US today but all these will be secondary as all eyes will on ECB and Draghi today. Starting March 15.2015 a combined monthly 60 billion euros of public and private companies. This is combined with those programs already in existence. This is to continue to Sept 30.2016. Thus 19 months of 60 billion euro purchases equates to 1.14 trillion euros. Of the 800 billion of sovereign bond purchases most will be put under the balance sheet of the national central bank in question. Only a small 8% or 70 billion euros will have a shared risk. And 12% of agency debt purchases will have shared risk, making a total of 20%. From “whatever it takes” to OMT to “discussing” bond purchases, with European interest rates at record (incomprehensible) lows (apart from Greece) andEURUSD at 11-year lows (down 25 handles in the last 8 months), Mario Draghi looks set to unleash interventionist ‘hell’ on the investing public in Europe with EUR50 billion (plus plus) of ECB QE per month for as long as it takes. Quick take: slightly more than expected per month, with a slightly shorter duration than expected, amounting to just about €1.1 trillion over 16 months, which is a tad on the low side to the super-aggressive expectations of €1 trillion per year. Furthermore, as expected there will be partial risk-sharing. It is still unclear what are the embedded conditions regarding purchasing Greek or other “junky” bonds. But the biggest error, and what assures that the ECB’s QE will fail (not that anyone expected it would work of course, and certainly not 99% of the European population), is that unlike the Fed’s and BOJ’s QEs, it is not “open-ended.” The market will not be happy. Ladies and gentlemen, the Vice-President and I are very pleased to welcome you to our press conference. Let me wish you all a Happy New Year. I would also like to take this opportunity to welcome Lithuania as the nineteenth country to adopt the euro as its currency. Accordingly, Mr Vasiliauskas, the Chairman of the Board of Lietuvos bankas, became a member of the Governing Council on 1 January 2015. The accession of Lithuania to the euro area on 1 January 2015 triggered a system under which NCB governors take turns holding voting rights on the Governing Council. The details on this rotation system are available on the ECB’s website. We will now report on the outcome of today’s meeting of the Governing Council, which was also attended by the Commission Vice-President, Mr Dombrovskis. First, it decided to launch an expanded asset purchase programme, encompassing the existing purchase programmes for asset-backed securities and covered bonds. Under this expanded programme, the combined monthly purchases of public and private sector securities will amount to €60 billion. They are intended to be carried out until end-September 2016 and will in any case be conducted until we see a sustained adjustment in the path of inflation which is consistent with our aim of achieving inflation rates below, but close to, 2% over the medium term. In March 2015 the Eurosystem will start to purchase euro-denominated investment-grade securities issued by euro area governments and agencies and European institutions in the secondary market. The purchases of securities issued by euro area governments and agencies will be based on the Eurosystem NCBs’ shares in the ECB’s capital key. Some additional eligibility criteria will be applied in the case of countries under an EU/IMF adjustment programme. Second, the Governing Council decided to change the pricing of the six remaining targeted longer-term refinancing operations (TLTROs). Accordingly , the interest rate applicable to future TLTRO operations will be equal to the rate on the Eurosystem’s main refinancing operations prevailing at the time when each TLTRO is conducted, thereby removing the 10 basis point spread over the MRO rate that applied to the first two TLTROs. Third, in line with our forward guidance, we decided to keep the key ECB interest rates unchanged. As regards the additional asset purchases, the Governing Council retains control over all the design features of the programme and the ECB will coordinate the purchases, thereby safeguarding the singleness of the Eurosystem’s monetary policy. The Eurosystem will make use of decentralised implementation to mobilise its resources. With regard to the sharing of hypothetical losses, the Governing Council decided that purchases of securities of European institutions (which will be 12% of the additional asset purchases, and which will be purchased by NCBs) will be subject to loss sharing. The rest of the NCBs’ additional asset purchases will not be subject to loss sharing. The ECB will hold 8% of the additional asset purchases. This implies that 20% of the additional asset purchases will be subject to a regime of risk sharing. Separate press releases with more detailed information on the expanded asset purchase programme and the pricing of the TLTROs will be published this afternoon at 3.30 p.m.
Today’s monetary policy decision on additional asset purchases was taken to counter two unfavourable developments. First, inflation dynamics have continued to be weaker than expected. While the sharp fall in oil prices over recent months remains the dominant factor driving current headline inflation, the potential for second-round effects on wage and price-setting has increased and could adversely affect medium-term price developments. This assessment is underpinned by a further fall in market-based measures of inflation expectations over all horizons and the fact that most indicators of actual or expected inflation stand at, or close to, their historical lows. At the same time, economic slack in the euro area remains sizeable and money and credit developments continue to be subdued. Second, while the monetary policy measures adopted between June and September last year resulted in a material improvement in terms of financial market prices, this was not the case for the quantitative results. As a consequence, the prevailing degree of monetary accommodation was insufficient to adequately address heightened risks of too prolonged a period of low inflation. Thus, today the adoption of further balance sheet measures has become warranted to achieve our price stability objective, given that the key ECB interest rates have reached their lower bound. Looking ahead, today’s measures will decisively underpin the firm anchoring of medium to long-term inflation expectations. The sizeable increase in our balance sheet will further ease the monetary policy stance. In particular, financing conditions for firms and households in the euro area will continue to improve. Moreover, today’s decisions will support our forward guidance on the key ECB interest rates and reinforce the fact that there are significant and increasing differences in the monetary policy cycle between major advanced economies. Taken together, these factors should strengthen demand, increase capacity utilisation and support money and credit growth, and thereby contribute to a return of inflation rates towards 2%. Let me now explain our assessment in greater detail, starting with the economic analysis. Real GDP in the euro area rose by 0.2%, quarter on quarter, in the third quarter of 2014. The latest data and survey evidence point to continued moderate growth at the turn of the year. Looking ahead, recent declines in oil prices have strengthened the basis for the economic recovery to gain momentum. Lower oil prices should support households’ real disposable income and corporate profitability. Domestic demand should also be further supported by our monetary policy measures, the ongoing improvements in financial conditions and the progress made in fiscal consolidation and structural reforms. Furthermore, demand for exports should benefit from the global recovery. However, the euro area recovery is likely to continue to be dampened by high unemployment, sizeable unutilised capacity, and the necessary balance sheet adjustments in the public and private sectors. The risks surrounding the economic outlook for the euro area remain on the downside, but should have diminished after today’s monetary policy decisions and the continued fall in oil prices over recent weeks. According to Eurostat, euro area annual HICP inflation was -0.2% in December 2014, after 0.3% in November. This decline mainly reflects a sharp fall in energy price inflation and, to a lesser extent, a decline in the annual rate of change in food prices. On the basis of current information and prevailing futures prices for oil, annual HICP inflation is expected to remain very low or negative in the months ahead. Such low inflation rates are unavoidable in the short term, given the recent very sharp fall in oil prices and assuming that no significant correction will take place in the next few months. Supported by our monetary policy measures, the expected recovery in demand and the assumption of a gradual increase in oil prices in the period ahead, inflation rates are expected to increase gradually later in 2015 and in 2016. The Governing Council will continue to closely monitor the risks to the outlook for price developments over the medium term. In this context, we will focus in particular on geopolitical developments, exchange rate and energy price developments, and the pass-through of our monetary policy measures. Turning to the monetary analysis, recent data indicate a pick-up in underlying growth in broad money (M3), although it remains at low levels. The annual growth rate of M3 increased to 3.1% in November 2014, up from 2.5% in October and a trough of 0.8% in April 2014. Annual growth in M3 continues to be supported by its most liquid components, with the narrow monetary aggregate M1 growing at an annual rate of 6.9% in November. The annual rate of change of loans to non-financial corporations (adjusted for loan sales and securitisation) remained weak at -1.3% in November 2014, compared with -1.6% in October, while continuing its gradual recovery from a trough of -3.2% in February 2014. On average over recent months, net redemptions have moderated from the historically high levels recorded a year ago and net lending flows turned slightly positive in November. In this respect, the January 2015 bank lending survey indicates a further net easing of credit standards in the fourth quarter of 2014, with cross-country disparities decreasing in parallel with an increase in net demand for loans across all loan categories. Banks expect that these dynamics will continue in early 2015. Despite these improvements, lending to non-financial corporations remains weak and continues to reflect the lagged relationship with the business cycle, credit risk, credit supply factors and the ongoing adjustment of financial and non-financial sector balance sheets. The annual growth rate of loans to households (adjusted for loan sales and securitisation) was 0.7% in November, after 0.6% in October. Our monetary policy measures should support a further improvement in credit flows. To sum up, a cross-check of the outcome of the economic analysis with the signals coming from the monetary analysis confirmed the need for further monetary policy accommodation. All our monetary policy measures should provide support to the euro area recovery and bring inflation rates closer to levels below, but close to, 2%. Monetary policy is focused on maintaining price stability over the medium term and its accommodative stance contributes to supporting economic activity. However, in order to increase investment activity, boost job creation and raise productivity growth, other policy areas need to contribute decisively. In particular, the determined implementation of product and labour market reforms as well as actions to improve the business environment for firms needs to gain momentum in several countries. It is crucial that structural reforms be implemented swiftly, credibly and effectively as this will not only increase the future sustainable growth of the euro area, but will also raise expectations of higher incomes and encourage firms to increase investment today and bring forward the economic recovery. Fiscal policies should support the economic recovery, while ensuring debt sustainability in compliance with the Stability and Growth Pact, which remains the anchor for confidence. All countries should use the available scope for a more growth-friendly composition of fiscal policies. … will not find any additional information in the ECB’s supplement on its asset purchase program. Neither will they learn why something that is in effect monetary financing, and is prohibited by Article 123, is not monetary financing. However, they will learn that the proceeds from the ECB’s money printing can be used “to buy other assets and extend credit to the real economy.” The ECB adds that “In both cases, this contributes to an easing of financial conditions.” Actually the only thing it will contribute to is making the world’s billionaires into the world’s trillionaires. The Governing Council of the European Central Bank (ECB) today announced an expanded asset purchase programme. Aimed at fulfilling the ECB’s price stability mandate, this programme will see the ECB add the purchase of sovereign bonds to its existing private sector asset purchase programmes in order to address the risks of a too prolonged period of low inflation. The Governing Council took this decision in a situation in which most indicators of actual and expected inflation in the euro area had drifted towards their historical lows. As potential second-round effects on wage and price-setting threatened to adversely affect medium-term price developments, this situation required a forceful monetary policy response. Asset purchases provide monetary stimulus to the economy in a context where key ECB interest rates are at their lower bound. They further ease monetary and financial conditions, making access to finance cheaper for firms and households. This tends to support investment and consumption, and ultimately contributes to a return of inflation rates towards 2%. The programme will encompass the asset-backed securities purchase programme (ABSPP) and the covered bond purchase programme (CBPP3), which were both launched late last year. Combined monthly purchases will amount to €60 billion. They are intended to be carried out until at least September 2016 and in any case until the Governing Council sees a sustained adjustment in the path of inflation that is consistent with its aim of achieving inflation rates below, but close to, 2% over the medium term. The ECB will buy bonds issued by euro area central governments, agencies and European institutions in the secondary market against central bank money, which the institutions that sold the securities can use to buy other assets and extend credit to the real economy. In both cases, this contributes to an easing of financial conditions. The programme signals the Governing Council’s resolve to meet its objective of price stability in an unprecedented economic and financial environment. The instruments deployed are appropriate in the current circumstances and in full compliance with the EU Treaties. As regards the additional asset purchases, the Governing Council retains control over all the design features of the programme and the ECB will coordinate the purchases, thereby safeguarding the singleness of the Eurosystem’s monetary policy. The Eurosystem will make use of decentralised implementation to mobilise its resources. With regard to the sharing of hypothetical losses, the Governing Council decided that purchases of securities of European institutions (which will be 12% of the additional asset purchases, and which will be purchased by NCBs) will be subject to loss sharing. The rest of the NCBs’ additional asset purchases will not be subject to loss sharing. The ECB will hold 8% of the additional asset purchases. This implies that 20% of the additional asset purchases will be subject to a regime of risk sharing. A technical annex is published alongside this press release with further operational details. They fulfil the collateral eligibility criteria for marketable assets in order to participate in Eurosystem monetary policy operations, as specified in Guideline ECB/2011/14, as amended, subject to the fulfilment of the additional criteria listed in points 2-4 below. They are issued by an entity established in the euro area classified in one of the following categories: central government, certain agencies established in the euro area or certain international or supranational institutions located in the euro area. They have a first-best credit assessment from an external credit assessment institution of at least CQS3 for the issuer or the guarantor, provided the guarantee is eligible in accordance with Guideline ECB/2011/14, as amended. Securities that do not achieve the CQS3 rating will be eligible, as long as the Eurosystem’s minimum credit quality threshold is not applied for the purpose of their collateral eligibility. Moreover, during reviews in the context of financial assistance programmes for a euro area Member State, eligibility would be suspended and would resume only in the event of a positive outcome of the review. Inflation-linked and floating rate securities issued by central governments, certain agencies established in the euro area and certain international or supranational institutions located in the euro area are eligible for purchase under the expanded asset purchase programme. Securities purchased under the expanded asset purchase programme that are not covered by the ABSPP or CBPP3 must have a minimum remaining maturity of 2 years and a maximum remaining maturity of 30 years at the time of purchase. Securities purchased under the expanded asset purchase programme that are not covered by the ABSPP or CBPP3 will be subject to an issue limit, an aggregate holding limit and other operational modalities specified, in particular, with the aim of preserving market functioning and allowing the formation of a market price on a given security. Moreover, the limits ensure that the application of collective action clauses for a bondholder decision is not obstructed. Regarding creditor treatment, the Eurosystem accepts the same (pari passu) treatment as private investors with respect to securities purchased by the Eurosystem, in accordance with the terms of such securities. Purchases of securities under the expanded asset purchase programme that are not covered by the ABSPP or CBPP3 will be allocated across issuers from the various euro area countries on the basis of the ECB’s capital key. Holdings of securities issued by central governments, certain agencies established in the euro area and certain international or supranational institutions located in the euro area will be valued at amortised cost, in line with Guideline ECB/2010/20 on the legal framework for accounting and financial reporting in the ESCB, as amended. The eligible counterparties for purchases shall be those eligible for the Eurosystem’s monetary policy instruments, together with any other counterparties used by the Eurosystem for the investment of its euro-denominated portfolios. Holdings of securities issued by central governments, certain agencies established in the euro area and certain international or supranational institutions located in the euro area purchased under the expanded asset purchase programme will be eligible for securities lending. Transactions in securities purchased under the programme will be published in a weekly report which will list holdings at amortised cost by asset type. In addition, for securities purchased under the expanded asset purchase programme that are not covered by the ABSPP or CBPP3, a report of the amounts held, valued at amortised cost, and the weighted average remaining maturity by issuer residence will be released on a monthly basis. 3.Not all national banks have necessary buffers if adverse conditions arise. 4. The limits on the 25% rule. Remember that these purchases remove a huge amount of necessary collateral for the money market fund. 5. Does not start until March 15 and that those wishing to front run may be taking on a huge risk until the key mid March date. Everyone knows the positives, or rather positive, even if nobody at the ECB is willing to come out and say it: the ECB’s QE – whose structural details were laid out previously – will boost stock prices, and… that’s it. Who benefits as a result of this has now become a socioeconomic and philosophical discussion. Risk sharing is very limited, with national central banks taking 80% of the risk on sovereign bond purchases, and rather un-reassuring was Draghi’s comment that “most national central banks have adequate buffers to absorb a negative event” – most being how many. Not good news for Greece, while it and Cyprus will be eligible for purchases of govt under a ‘waiver’ for (bail-out) ‘programme countries’, the ECB already has a very high volume of Greek bonds on it balance sheet from the SMP programme, and given a limit on total holdings for each sovereign issuer, it will not be eligible for purchases until it redeems debt in July asnd August. It should be added that other Italy and Spain and other bail-out countries will implicitly also have a lower available volume of total purchases, until SMP holdings are redeemed. BUT perhaps the key aspect relates to the limits on the 25% limit on purchases of a single issue, which ensures that the ECB adheres to the ECJ’s ruling about the ECB ensuring that is does not interfere with “price formation“. So here’s the key aspect, there are some $12.0 Trln of FX reserves in the world, of which roughly a quarter are held in Euros. Operating on the traditional metric that roughly half of those will be invested in Govt Bills and Bonds, this means that FX reserve managers will have to be involved in the process of establishing prices for whatever is purchased under the Govt bond QE programme. Eminently anything that is sold by central banks will not find its way into the private financial sector,therefore that EUR 60 Bln figure may often overstate what is being injected into the market. Last but not least, the expanded programme does not start until March 15, so “Mr Market” now has a very long waiting period to sit on holdings of EUR debt before selling to the ECB, and with plenty of event risk in the world, starting with the Greek election, and to mention the prospect of an imminent Ukrainian default. Sort this under an uncomfortably long period before the QE ‘party’ gets started. A crashing Yen failed to help Japan or fix its economy, but while Japan may now be a lost cause, the Keynesian masterminds of the world will give it another try, and following today’s Draghi’s announcement, the EURUSD has crashed to the lowest level since 2003, tumbling over 200 pips, and printing below 1.14 moments ago. And since it is a zero-trade sum world, now that the exports of Europe – the single largest economic block in the world – are cheap enough to compete with Japan’s just as cheap, thanks to currency debasement, goods and services in the global arena, it means that the biggest loser is obvious: the United States, whose currency has soared to nosebleed levels on expectations that the Fed will hike and that the US will somehow decouple from a world that is drowning in economic malaise. However, in a clear indication that the party for the USD-bulls may be ending, none other than the US commerce secretary moments ago said the impact of a rising dollar on exports and economic growth bears monitoring. Pritzker said the challenge was to ensure U.S. businesses could be innovative and productive enough to attract demand regardless of the vagaries of currencies or the world economy. Yes: it is a challenge when increasingly troubled importers could care less about innovation when the only thing that matters is the local currency denominated bottom line. And this is something Pritzker knows too well. So the question is – how long until she speaks to none other than Jack Lew, who in turn convews a message to Janet Yellen, forcing her to “patiently” remind the market that the US never has, and never will, decouple from the rest of the world, and that unless the US wants to go straight from 5% Obamacare-boosted “growth” to recession, it too will have to join the devaluation party. Lastly, considering the everyone is now long the dollar, the macro devastation that would result if the Fed also pulls an SNB and surprises the market, will be one for the generations. 1-Year Swiss interest rates have now crashed 75bps in the last week since the SNB decision to un-peg from the Euro. As the world awaits Draghi’s big moment, Swiss rates are sliding more and investors seek the ‘safety’ of Francs – even if it costs them 1.05% per year for that ‘safety’. Now Denmark has to cut its rate again for the second time this week as the Danish Kroner rises again in value. The Danes are trying to keep the peg at 7.46 kroner to the dollar. It was just on Monday when the Danish central bank, clearly panicking about the peg of the Danish Krone to the EUR, surprised the world when in an unexpected rate cut it went NIRPer, sending its deposit rate from -0.05% to 0.2%. Moments ago it doubled down with its second rate cut for the week, this time sending the rate from -0.20% to -0.35%. At this rate we should hit -0.5% next Tuesday and be well into the -1% territory two weeks from today. And not only that, but as Bloomberg observes, “The Danish central bank “also seems to have been intervening in the market prior to the ECB meeting,” Jes Asmussen, chief economist at Svenska Handelsbanken AB in Copenhagen.” In other words, the Danish Krone’s peg days are most likely numbered. Governor Lars Rohde delivered his second rate cut in less than a week today, lowering the deposit rate by 15 basis points to minus 0.35 percent. The move follows a 15 basis-point cut on Monday and comes as the European Central Bank unveils an historic bond-purchase program. Effective from 23 January 2015, Danmarks Nationalbank’s interest rate on certificates of deposit is reduced by 0.15 percentage point. The lending rate, discount rate and the current account rate are unchanged. The interest rate reduction follows Danmarks Nationalbank’s purchase of foreign exchange in the market. 2015: the year currency wars got real. Big news released last night and discussed in detail today by Bill Holter. China and Switzerland are to launch a yuan trading desk in Zurich. RT: China and Switzerland to launch yuan trading in Zurich . . . goodbye, fiat dollar . . . and it’s all happening without a full blown WWIII. Guess who’s winning? The central banks of China and Switzerland are planning to establish a yuan trading center in Zurich. The deal is expected to increase the number of European transactions in yuan. The agreement will be signed during the visit of Chinese Prime Minister Li Keqiang to the World Economic Forum in Davos, Xinhua news agency reports. “A memorandum of understanding will be signed between the central banks of the two countries during Chinese Premier Li Keqiang’s visit to Switzerland. It is an important step in the internationalization of the yuan, especially in Europe,” said a government official. According to the agreement, Switzerland will receive a quota of about $8 billion (50 billion Yuan). This step comes under the framework of the QFII (Qualified Foreign Institutional Investor) program that allows foreign investment in Chinese securities using foreign currencies. Similar centers already exist in Hong Kong and London. The agreement suggests that a Chinese commercial bank may also establish itself in Switzerland in the coming months, since such a presence is necessary for renminbi clearing arrangements to take place. In July of last year, the SNB and the People’s Bank of China signed a preliminary renminbi swap agreement worth CHF21 billion. However, in the ensuing months, Luxembourg emerged as a competitor to Switzerland for RQFII status.Wednesday’s announcement clearly demonstrated Switzerland’s advantage over Luxembourg in this arena in the eyes of the Chinese and indicates a high level of trust between Switzerland and China. Currently, around half a dozen countries, including Britain, Germany and France, hold RQFII status. Is This The Real Reason The SNB Cut The Swiss Franc’s Euro Peg? From the moment I saw the news about the Swiss cutting its currency loose from its tie to the euro, I was interested in the fact that the SNB apparently acted without telling other Central Banks or the usual cast of Too Big To Fail “insider” banks. If they had, we likely would not have seen a 30% move, as the information would have found some leaks and the swissy would have partially priced in the event by moving somewhat higher ahead of the fact. As China takes it currency global, Zurich is set to become a center for yuan trading in Europe with Chinese and Swiss officials poised to sign a financial deal on Wednesday. “A memorandum of understanding will be signed between the central banks of the two countries during Chinese Premier Li Keqiang’s visit to Switzerland. It is an important step in the internationalization of the RMB, especially in Europe,” a government official was quoted by Chinese news agency Xinhua. It’s not just a mere coincidence that the SNB de-pegs the swissy last Thursday and this yuan currency trading deal is announced 6 days later. The timing is not an accident. I believe China agreed to set up a European yuan trading center in Zurich on the condition that the SNB sever the swissy’s connection to the euro. I also think it’s another way for China to indirectly lob a bomb at the U.S. dollar in the ongoing currency war. The gravy train is over for oil workers. All over North America, people that felt very secure about their jobs just a few weeks ago are now getting pink slips. There are even some people that I know personally that this has happened to. The economy is really starting to bleed oil patch jobs, and as long as the price of oil stays down at this level the job losses are going to continue. But this is what happens when a “boom” turns into a “bust”. Since 2003, drilling and extraction jobs in the United States have doubled. And these jobs typically pay very well. It is not uncommon for oil patch workers to make well over $100,000 a year, and these are precisely the types of jobs that we cannot afford to be losing. The middle class is struggling mightily as it is. And just like we witnessed in 2008, oil industry layoffs usually come before a downturn in employment for the overall economy. So if you think that it is tough to find a good job in America right now, you definitely will not like what comes next. #1 It is being projected that the U.S. oil rig count will decline by 15 percent in the first quarter of 2015 alone. And when there are less rigs operating, less workers are needed so people get fired. #2 Last week, 55 more oil rigs shut down. That was the largest single week decline in the United States in 24 years. #3 Oilfield services provider Baker Hughes has announced that it plans to lay off 7,000 workers. #4 Schlumberger, a big player in the energy industry, has announced plans to get rid of 9,000 workers. #5 Suncor Energy is eliminating 1,000 workers from their oil projects up in Canada. #6 Halliburton’s energy industry operations have slowed down dramatically, so they gave pink slips to 1,000 workers last month. #7 Diamondback Energy just slashed their capital expenditure budget 40 percent to just $450 million. #8 Elevation Resources plans to cut their capital expenditure budget from $227 million to $100 million. #9 Concho Resources says that it plans to reduce the number of rigs that it is operating from 35 to 25. #10 Tullow Oil has reduced their exploration budget from approximately a billion dollars to about 200 million dollars. #11 Henry Resources President Danny Campbell has announced that his company is reducing activity “by up to 40 percent“. #12 The Federal Reserve Bank of Dallas is projecting that140,000 jobs related to the energy industry will be lost in the state of Texas alone during 2015. And of course it isn’t just workers that are going to suffer. But oil is also a revenue source in more than two dozen states, especially for about a third of them. In Alaska, where up to 90 percent of the budget is funded by oil, new Gov. Bill Walker has ordered agency heads to start identifying spending cuts. Sadly, it looks like oil is not going to rebound any time soon. Oil declined about 5 percent on Tuesday after the International Monetary Fund cut its 2015 global economic forecast on lower fuel demand and key producer Iran hinted prices could drop to $25 a barrel without supportive OPEC action. U.S. crude, also known as West Texas Intermediate or WTI, settled 4.7 percent lower at $46.39 a barrel, near its intraday bottom of $46.23. There is only one other time in history when we have seen an oil price crash of this magnitude. That was in 2008, just before the greatest financial crisis since the Great Depression. to take a dramatic turn for the worse. Yemeni Prime Minister Khaled Bahah presented resignation to President Abd-Rabbu Mansour Hadi on Thursday night, government spokesman Rajeh Badi told Xinhua, one day after the government and Shiite Houthi group signed a peace deal to end a three-day political crisis. “The prime minister and his government will not withdraw their decision under any circumstance,” Badi said, expressing the apology on behalf of Bahah to the Yemeni people. Bahah, born in 1965 in Yemen’s southeastern province of Hadramout, was named as the premier on Oct. 13, 2014. He served as oil minister from March to June in 2014. He was replaced due to protests triggered by shortage of fuel and electricity, and was later named as envoy to the UN. The government signed on Wednesday a peace deal with the Houthi group which seized the presidential palace during clashes with presidential guards since Monday. Ukrainian forces appeared to withdraw from Donetsk airport last night, bringing to an end an eight-month battle in what will be seen as a bitter blow for pro-Kiev forces and a triumph for the Russian-backed separatists they are fighting. The Ukrainian ministry of defence had insisted earlier this week that part of the airport complex was still under government control and that fighting continued. The claim was later confirmed in a post by the Azov regiment, one of several volunteer battalions fighting alongside regular government forces. A Ukrainian military spokesman on Thursday played down the surrender of the terminal buildings, saying it was simply a tactical withdrawal. “We continue to control the southern part of the airport … we left the new terminal because it looks like a sieve and there’s simply nowhere to hide there,” he said. Reports of the fall of Donetsk airport sparked mourning on Ukrainian social media, with many users posting tributes to the fallen defenders and angry denunciations of the failure of generals and politicians to avoid the defeat. LifeNews, a fiercely pro-Kremlin outlet, showed footage on Thursday of what it said were dead Ukrainian soldiers found in the basement. Rebel fighters told the station that they found about 15 badly wounded Ukrainians amongst the dead, and that the troops had apparently been abandoned by their officers. The battle for Donetsk airport, where a garrison of Ukrainian troops held off separatist attackers for eight months, had become a symbol of Ukrainian resistance. It was unclear whether the attack on a bus in a separatist held part of the city on Thursday morning was connected with the fighting at the airport. Separatists who control the city initially blamed the attack on a guerrilla unit operating inside the city, rather than Ukrainian artillery firing from beyond the city limits. Sergie Lavrov, the Russian foreign minister, blamed the attack on Ukrainian shelling, denouncing the attack as a “monstorus crime”. “We are shaken by the monstrous new crime in Donetsk, where on the morning of January 22 dozens of peaceful civilians died and received injuries as a result of Ukrainian forces shelling a bus stop,” he said. The attack was a “crude provocation” aimed at undermining peace efforts, he added. Ukrainian prime minister Arseniy Yatsenyuk said Russia bore responsiblity for the shelling that Kiev blamed on pro-Kremlin rebels. A Reuters correspondent counted six bodies at the scene of the strike, although rebel and municipal authorities suggested the total death toll could be higher. The Canadian yield curve goes inverted. Thus Canada enters a recession. Also remember that Canadian total debt to GDP is one of the highest in the world. It looks like our housing bubble will burst. Currency wars pick up steam today with still more unexpected central bank actions. Please consider Canadian Central Bank Unexpectedly Lowers Interest Rates. Canada’s dollar sank the most in more than three years after the central bank unexpectedly cut interest rates, saying crude oil’s collapse will slow inflation and weigh on the economy. The currency reached the weakest level in almost six years after the Bank of Canada reduced economic forecasts and lowered the benchmark rate target to 0.75 percent, from 1 percent, where it’s been since 2010. Government bonds climbed, pushing yields on two-, 10- and 30-year debt to record lows. Crude, Canada’s biggest export, has tumbled more than 50 percent since June amid a global glut. How much more preemption before the derivative bubble blows sky high? On that question we find out more tomorrow. Since mid-2011 the “loonie” has lost about 24% vs. the US dollar. However, the dollar is a lot weaker than its Canadian counterpart compared to late 2001. Canada wins the blue ribbon for the first G-7 yield curve inversion since central bankers started unleashing competitive “preemptive” rate cuts. Yield on the Canadian 1-year note, 2year-note, and 3-year note are all inverted (lower than yield on the 1-month note). In addition, yield on on the 1-year note is inverted with the 2- and 3-year notes. I smell a Canadian recession (and more surprise actions). A bust of the Canadian real estate bubble, one of the biggest in the world, is also on the way. Remember when just a few short hours ago, the ECB’s Mario Draghi said that under no circumstances should the ECB’s historic launch of QE be taken by anyone as a substitute for legitimate fiscal and other labor reform: as in the one thing the continent that has youth unemployment higher than 50% in various nations truly needs, instead of a Dax at record highs? Well, we are happy to report that just hours after the launch of QE, French trade unions and employer groups failed to reach agreement in a final bid to spur job creation in a moribund market by simplifying rules on worker representation in firms, the government and unions said. Socialist President Francois Hollande had asked the parties to strike a deal by end-2014 to lift bureaucratic “blockages” to hiring, including rules that force companies to pay for in-house works councils and health and safety committees once they hire their 50th worker. “Today’s plenary confirmed the end of negotiations, and thus their failure,” a source from one of the employer groups said. Economists have long pointed to excessive bureaucracy as a major in France’s high unemployment rate, currently stuck above 10 percent. He added that he would hold a meeting of the various parties on Feb. 19 to discuss the next steps. At that meeting nothing is expected to happen either, because thanks to Mario Draghi, Europe’s politicians just bought themselves a few more months in which they can continue their path of clueless incompetence and corruption, all of which is of course blamed on “austerity” of course. However, Valls probably should advise the French impoverished workers to do the one thing that QE fixes each and every time: just BTFD. Greek banks are facing a serious liquidity problem as in the first three days of the week, depositors withdrew a total of 4.2 billion euros. A week ago, the four major Greek banks had proactively asked for Emergency Liquidity Assistance (ELA) from the European Central Bank. The ELA has been approved for two weeks, according to reports. Any extension of the mechanism can be repeated in 15 days, during the next session of the ECB’s board of directors. As elections approach, political uncertainty has generated a bank run. From Monday through Wednesday, total outflow was counted at 4 billion euros. Financial analysts forecast that by the end of elections week the outflow will reach 4.5 billion euros. On Wednesday alone, 1.8 billion flew out of Greek banks. The outflow was higher than expected and indicates that it will continue after Sunday’s general elections. This morning in Europe, the euro continues to trade northbound, trading up and now just above the 1.16 level at 1.1630 as Europe reacts to deflation, announcements of massive stimulation. In Japan Abe went all in with Abenomics with another round of QE purchasing 80 trillion yen from 70 trillion on Oct 31. He now wishes to give gift cards to poor people in order to spend. The yen continues to trade in yoyo fashion. This morning it settled up again in Japan by 25 basis points and settling well below the 118 barrier to 117.61 yen to the dollar. The pound was up this morning as it now trades just below the 1.52 level at 1.5190. (very worried about the health of Barclays Bank and the FX/precious metals criminal investigation/Dec 12 a new separate criminal investigation on gold,silver oil manipulation). The Canadian dollar is falling apart (oil down/all of Target stores closing/all of Sony stores closing) and now its yield curve is inverted, but trading slightly up at 1.2341 to the dollar. It seems that the three major global carry trades are being unwound. (1) The total dollar global short is 9 trillion USA, and as such we now witness a sea of red blood on the streets as derivatives blow up with the massive rise in the dollar against all paper currencies.We also have the second big yen carry trade unwind as the yen refuses to blow past the 120 level. (3) the Nikkei vs gold carry trade These massive carry trades are causing deflation as the world reacts to a lack of demand. Bourses around the globe are reacting in kind to these events. 1. Europe stocks all green except Germany. Your closing Spanish 10 year government bond, Thursday down 12 in basis points in yield from Wednesday night. The euro collapsed this afternoon and by closing time finished well down for the day and just below the 1.14 level to 1.1359. The yen was well down in the afternoon, and it was down by closing to the tune of 72 basis points and closing just above the 118 cross at 118.56 and still causing much grief again to our yen carry traders who need a much lower yen (to surpass 120). The British pound lost huge ground during the afternoon session and it was down on the day closing at 1.5006. The Canadian dollar crashed again today as it was down on the day at 1.2391 to the dollar. As explained above, the short dollar carry trade is being unwound, the yen carry trade , the Nikkei/gold carry trade, and finally the long dollar/short Swiss franc carry trade are all being unwound and these reversals are causing massive derivative losses. And as such these massive derivative losses is the powder keg that will destroy the entire financial system. Your closing USA dollar index: 94.9 up a monstrous 1.29 cents from yesterday. Closing USA/Russian rouble cross: 64.24 up 1 rouble per dollar on the day. Year-to-date, Silver and Gold are the major winners, stocks now unch and oil remains the biggest loser still..
Not “unambiguously good” as Shale states see initial jobless claims spiking. Overall initial jobless claims missed expectations for the 4th week in a row, holding above 300k for the 3d week in a row (for the first time since July). At 307k, this week’s print is below last week’s but well above the 300k expectation. However, across TX, CO, ND, PA, and WV, initial claims (1 week lagged) rose to over 75k (from 30k in October)… “crisis has passed”? We will see you on Friday.